Mac OS X 10.7 Lion includes a great tool called tmutil that lets you interact with with Time Machine from the command line. It’s a powerful utility that has a ton of options and we’ve used it before to disable local snapshots, but for the purposes here we are going to use it to compare Time Machine backups. Launch the Terminal from /Applications/Utitilities/ and let’s get started. The output can be fairly lengthy depending on how long you go between backups and how much data has changed. This is basically using ‘diff’ on the backup and current state, giving you a file by file breakdown of the differences. Files and paths with a + (plus) in front of them indicate it is new, files with a – (minus) in front indicate it has been removed, and a ! (bang) indicates the file has changed. You’ll also see the size each individual difference, and at the end of the commands output you’ll find a summary of total sizes of what has been added, removed, and changed. 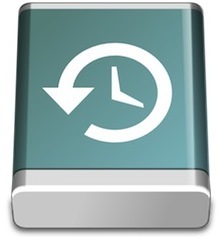 Replace “TimeMachineDriveName” with the name of your backup drive, replace “Macintosh HD” with the name of the primary drive, and replace the date on the end with which date you want to compare that is stored within the Time Machine backups directory. Mac OS-X Back-Up: Time Machine, Super, Carbon Copy Cloner, Disk Utility? Wish list for Ipad2 ~ what's yours?